Rohrer & Klingner SketchINK - fountainfeders Webseite! 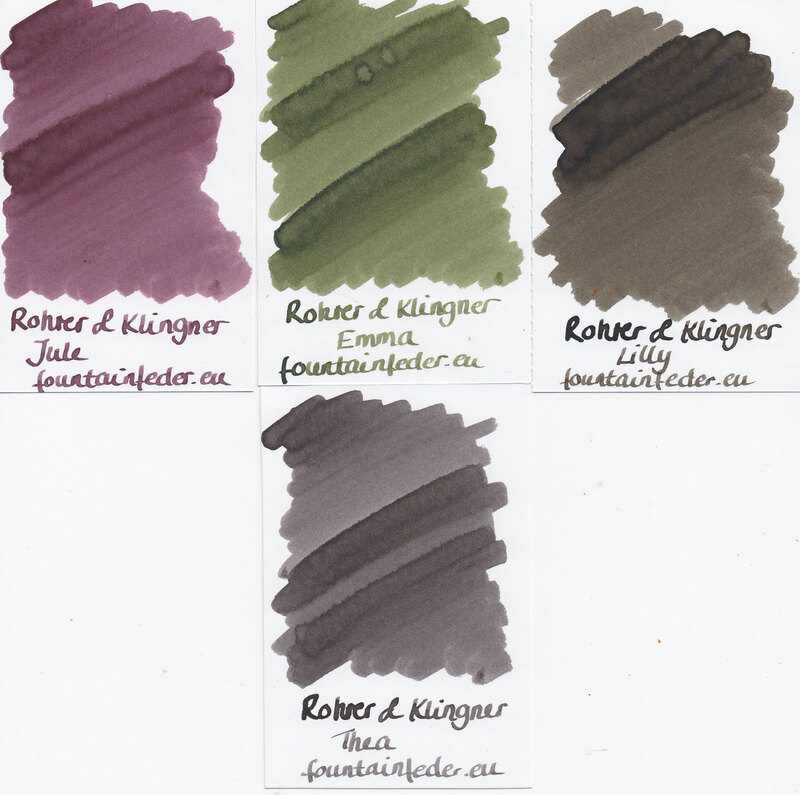 Rohrer & Klingner just released their new SketchINK line which is specifically for Sketchers and Artists and the ink claims to be Waterproof. Since we already carry all the other regular Rohrer & Klingner colours there was no way around the new ones. They really have a huge variety of waterproof colours with ten different ones. What did strike me right away was the reasemblence of the Super5 inks which are also waterproof and have the same atributes as the SketchINKs . 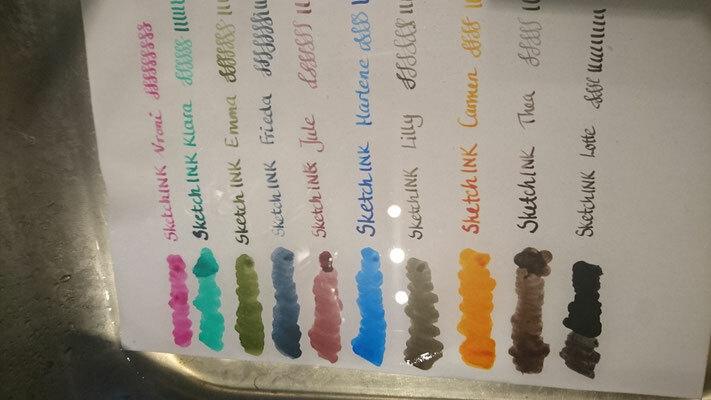 Of course we wanted to make sure that the inks realy are waterproof so we did a little test. I must admit right when I did put the piece of paper into the water I remembered that I did not do a before scan. Turns out it was not necessary at all because they did not even change a bit. (Picture to the right is the after scan) We placed the paper for 2 minutes under the running water tap and after let it sit for another 2 minutes in the sink. I was expecting a little bit of a change or some diluding but nothing. Pretty impressiv. Of course we did the test a day after we did the swabs on the paper so it had enough time to dry up realy nice. I will still be doing a dry time test which I will attach to this post later. And as you can easily spot they are very close in colour. 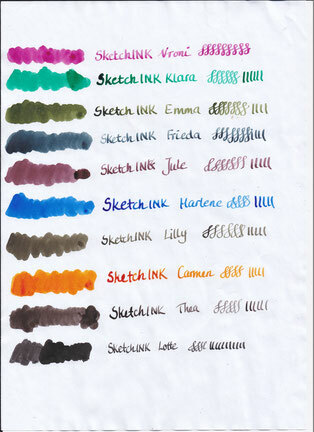 One thing however that realy speaks for the Rohrer & Klingner SketchINKs is the price which is only half of the Super5. 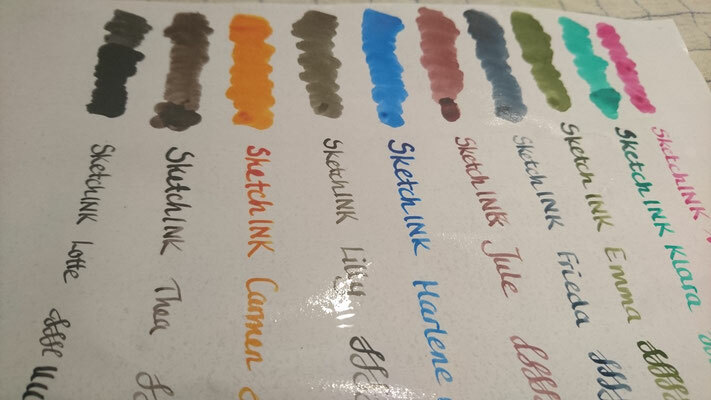 We are hoping that the price will stay as low and will not be an introduction price but so far this is the best ink for the buck considering it is for sketching and supposed to be waterproof. The overall impression we got from the ink is that it really is worth the buck and definately made with all the Artists in mind. We can only recommend this ink for anyone looking for a permanent ink for drawing, sketching or anything else artsy you are planing. 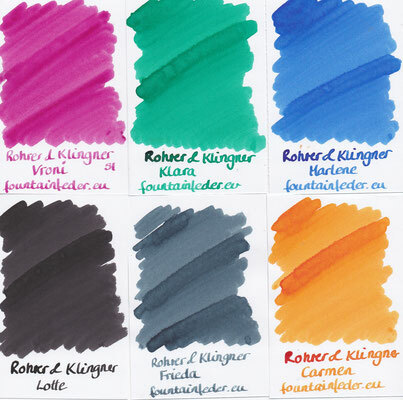 Super5 inks once were made by Rohrer & Klingner but not anymore. So you wonder why some colours of the inks are close to the old Super5 — it is what you think… The new Super5 inks are now even better than before when made by R&K. Thanks for this review ! Are they still suitable for fountain pens ? Hi Marjorie, yes they are suitable for fountain pens and especially designed for the usage with them.